These tips are critcal to staying safe before, during, and after a hurricane. The Atlantic hurricane season lasts from June through November and, although most of the time all you will see are some heavy bouts of rain, some major hurricanes have hit the region in recent years. That is why it's important to always be prepared. The best type of hurricane is the one that just misses, but there are time when you're not so lucky. So, no matter if you're living in a hurricane prone area or just there on vacation, keeping prepared is most important. All proper preparations should be done before the hurricane hits. This will ensure that you aren't left without certain necessities. When a major hurricane is headed towards your area, people tend to panic and stores run out of important staples like, water, batteries, and flashlights very quickly. Truthfully, if you live in a hurricane prone area you should always be stocked with the staples so you never have to worry about the panicking crowds. Create a disaster kit. This should consist of water (one gallon per person per day for three days for all uses), three days worth of food, batteries, flashlights, first aid kit, cell phone with back up charger, help whistle, garbage bags, pliers, a manual can opener, and any critical medications. Your valuable documents should be tucked away in a waterproof container as well. Make sure your windows are protected and your home is secured. This may mean putting up hurricane shutters, which should be done in the days prior to a hurricane coming. This also includes tying down or taking in any outdoor furniture, garbage cans, outdoor decor, or lawn supplies that can blow away during heavy winds. 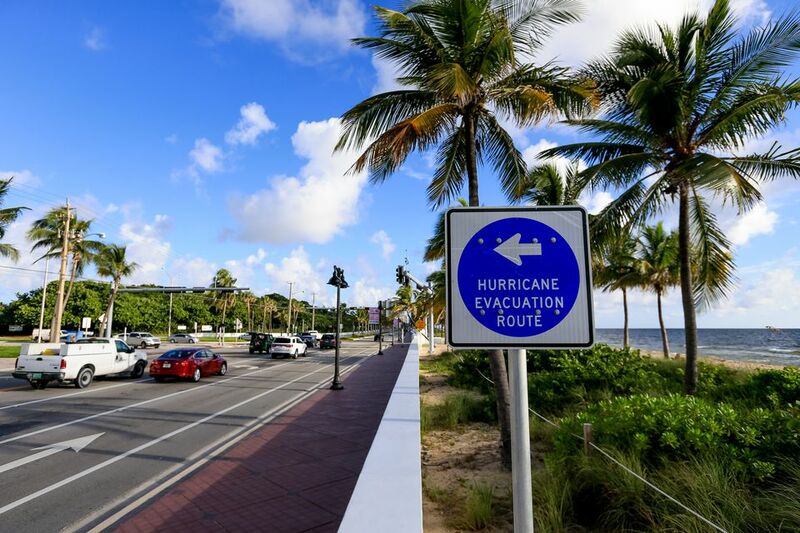 If you plan on traveling to Florida during hurricane season — June 1 through November 30 — it is important to learn about hurricane guarantees and travel insurance to protect your vacation investment. However, if a storm threatens during your visit, keep informed with local news and follow any evacuation orders that are issued. If you aren't required to evacuate, follow the tips above to help keep you and your family safe.